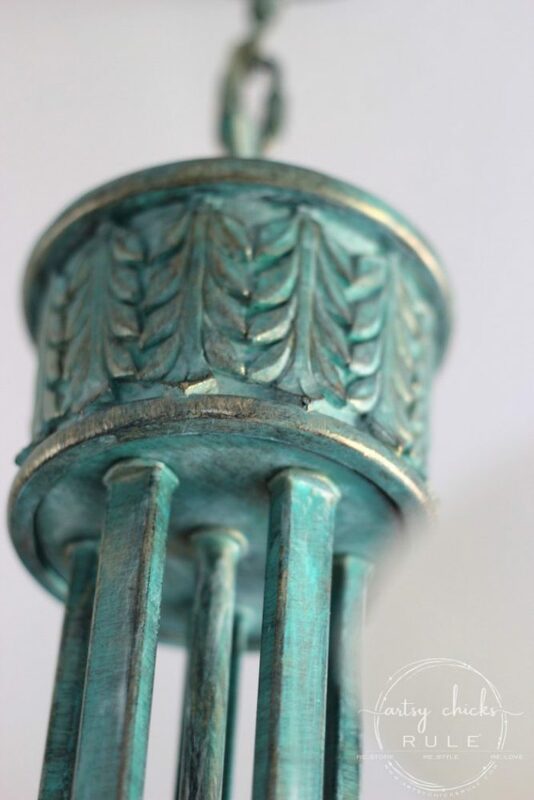 Learn how to create faux verdigris…the easy way! 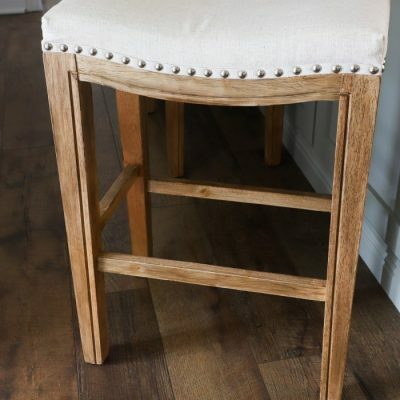 So simple but gives such an elegant and realistic look. 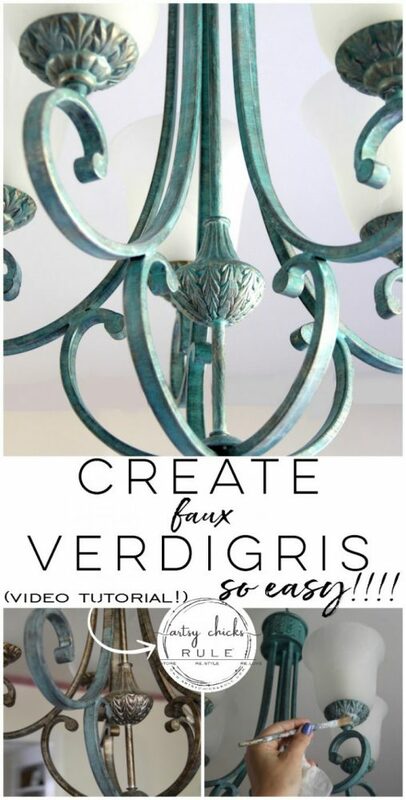 Today I’m I’m sharing how to create faux verdigris and I’ll be back on Thursday sharing the faux patina finish. You can see both in the post I linked above. 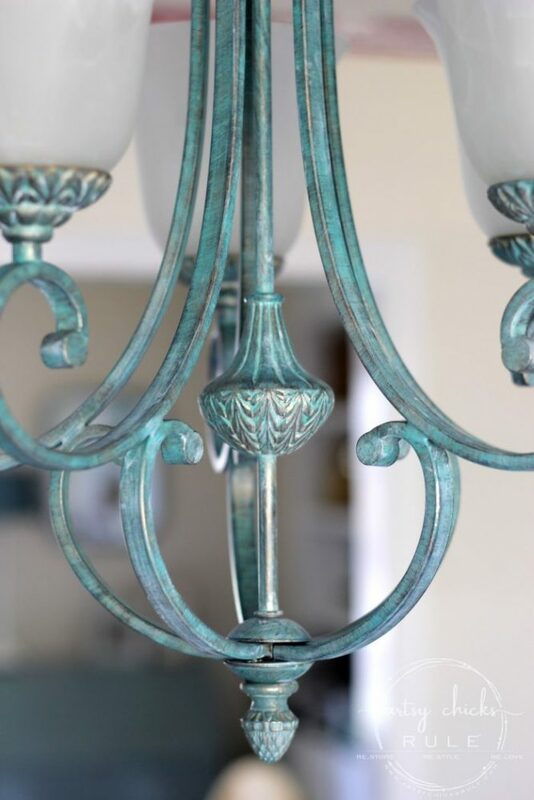 This is how my light fixture started…..
And how it looked after I gave it the faux verdigris finish…. So much fun and truly so easy to do. But I’ll also give step by step instructions here too. 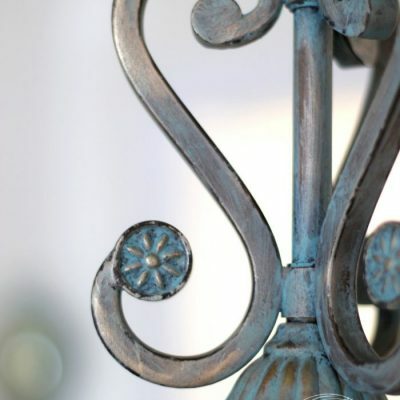 If the item you are giving the faux verdigris finish to is not already a bronze or copper color, you may want to give it a quick spray of Oil Rubbed Bronze or Copper Spray paint. 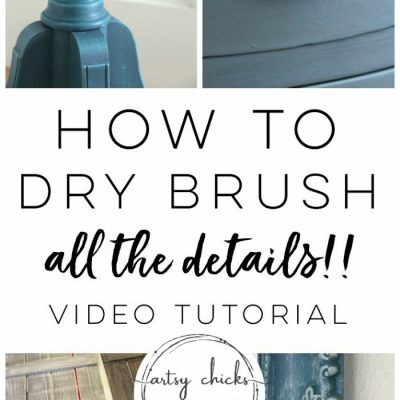 If it happens to be a light fixture like mine that you don’t want to remove from the wall, you can use something like this product to brush on. Or any other liquid based metallic paint of your choosing. For this technique, I used Baroque Art Gilder’s Paste Wax. 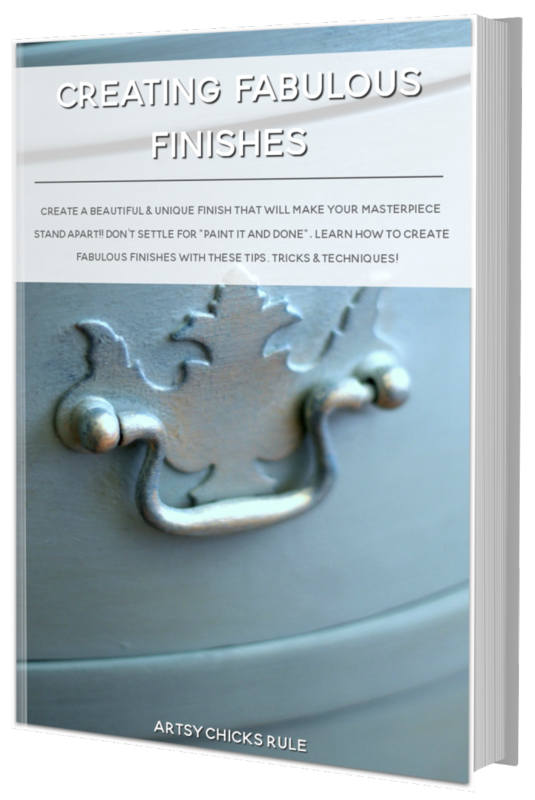 I create a brush-able product by adding a tiny bit of mineral spirits to the gilder’s paste. Using a small artist’s paint brush, brush on this gilder’s paste liberally. 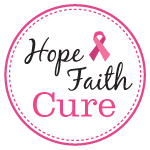 However, you don’t want full coverage so keep that in mind as you are applying. 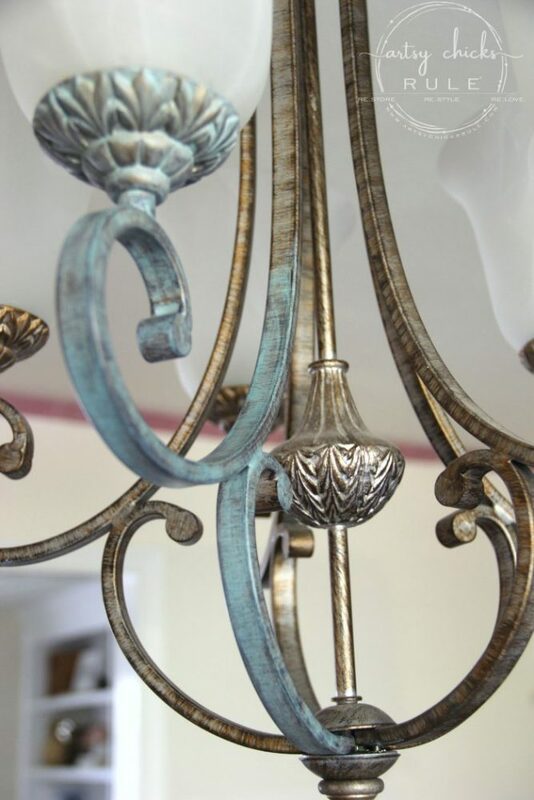 Let some of the bronze show through. 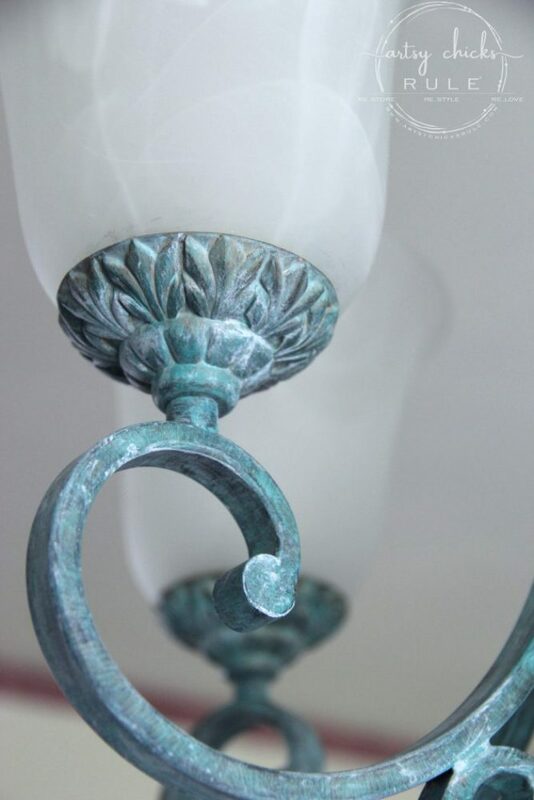 Next, using an old t-shirt or rag, buff away a bit of the past wax to let more of the bronze/copper show through. 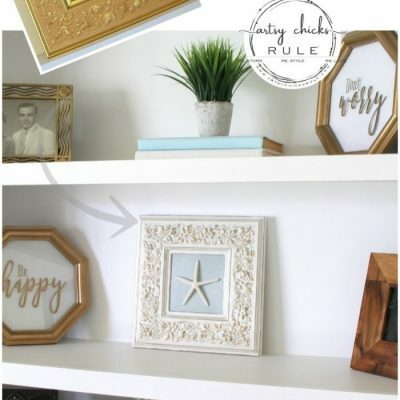 Make a mixture of water/white paint, preferably chalk style paint because it has the correct texture finish for this next step. 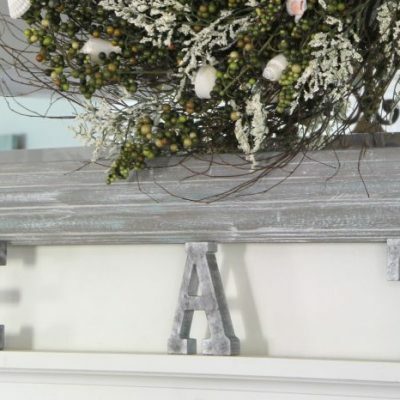 With a bit larger artist’s brush, brush on the very watered down white paint. Let it go into the creases but don’t apply so much that it turns white. You want it to be almost haze-like. 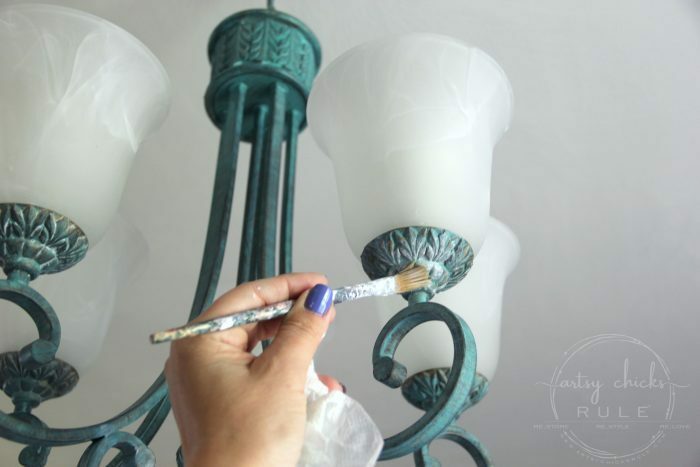 Using an old rag or t-shirt, wipe some of the white paint away if you’ve gotten too much on there. Once that is dry, move on to the next and final step. Apply gold paint. 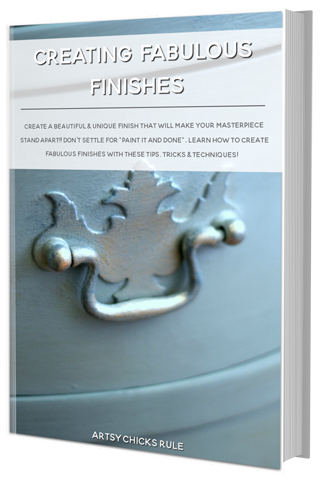 For this step, you will use another small artist’s brush just slightly dipped into the gold paint. Wipe most away on a paper towel and then with a very light hand, hit the high points on the piece. You can apply as little or as much of this as you like. You are done! 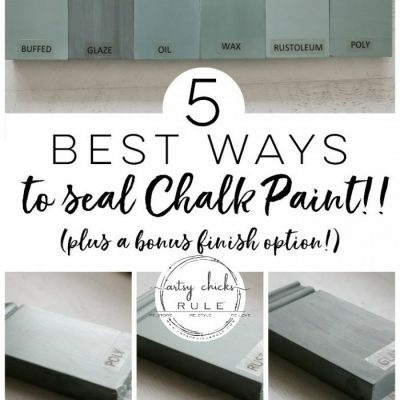 You can apply a sealer at this point but it’s really not necessary with these products. A little finish up buffing might be nice. NOTE: Keep in mind, this is just a guideline. You can go darker on the green/blue or lighter. 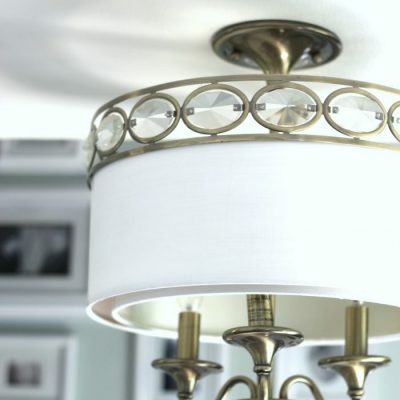 You can use more white paint or less and you can add more gold “highlights” or fewer. Painting on the gilder’s paste. Rubbing back some of the paste to reveal more of the bronze. 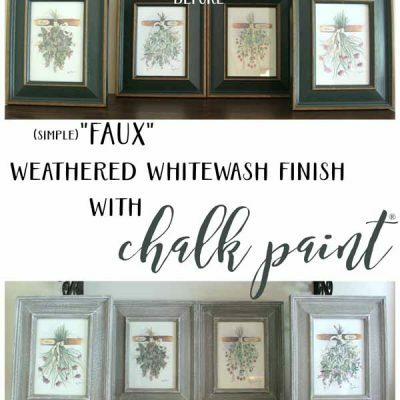 Adding the watered down white paint…. You can see that hazy white here…. Let me first say, I’m SO not a pro at this!! ;) And I don’t love my voice…or hearing my voice, lol. Eeek. Happy painting, making and creating! Wow, wonderful tutorial and makeover Nancy! 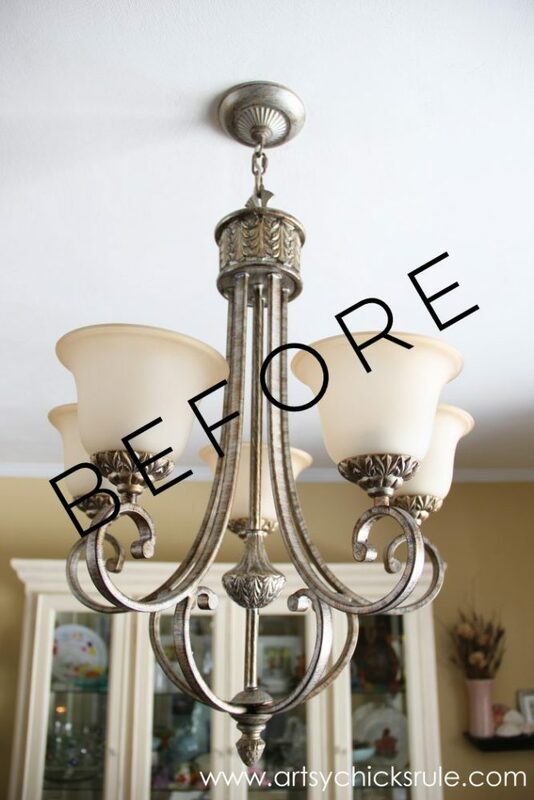 The video is perfect and really shows how much work it was to do this to a hanging chandelier. Amazing! Gorgeous technique! 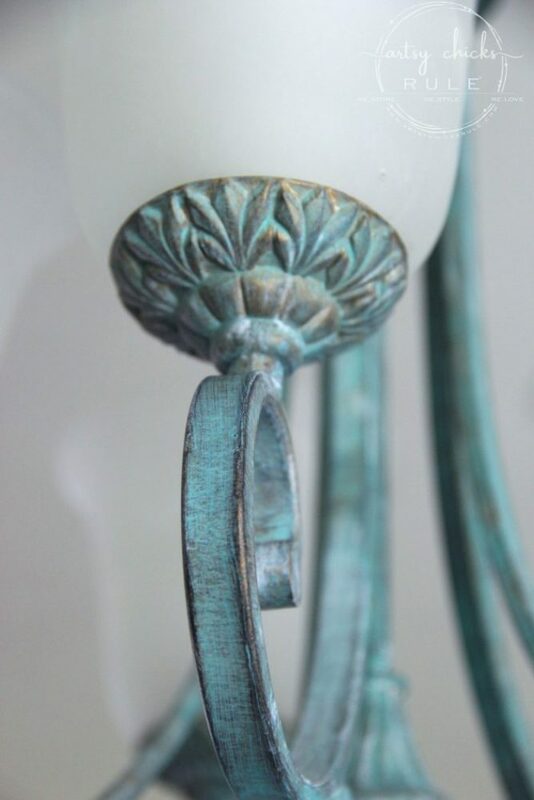 I’m drawn to anything turquoise anyway, and this is beautiful. 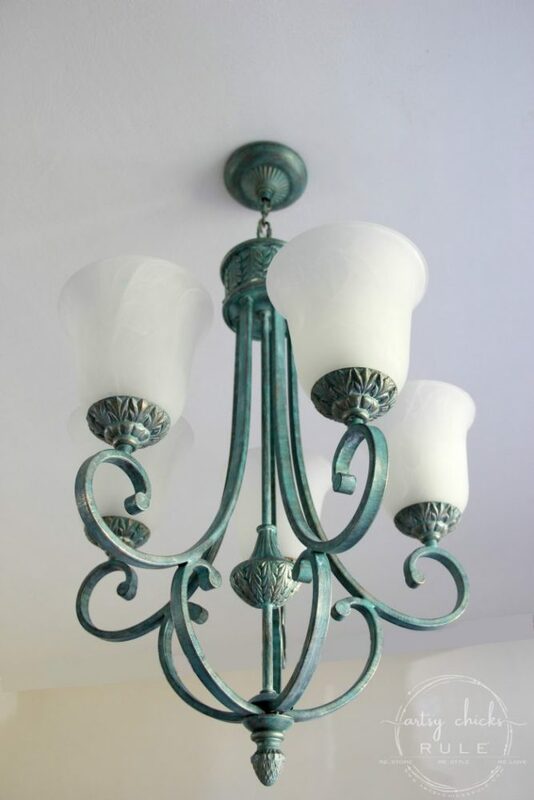 I think I see a brass ceiling-fan makeover in my future. Thanks for the detailed video/photos. 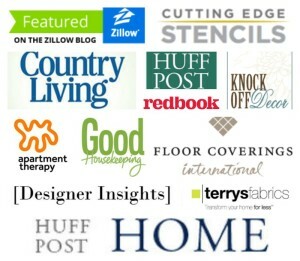 Stunning results!! And I love your video!! ? 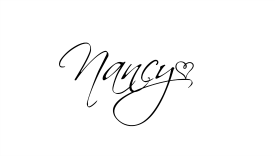 Oh I love this, Nancy! 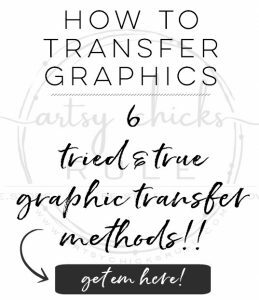 Thank you so much for the tutorial because it’s very timely. 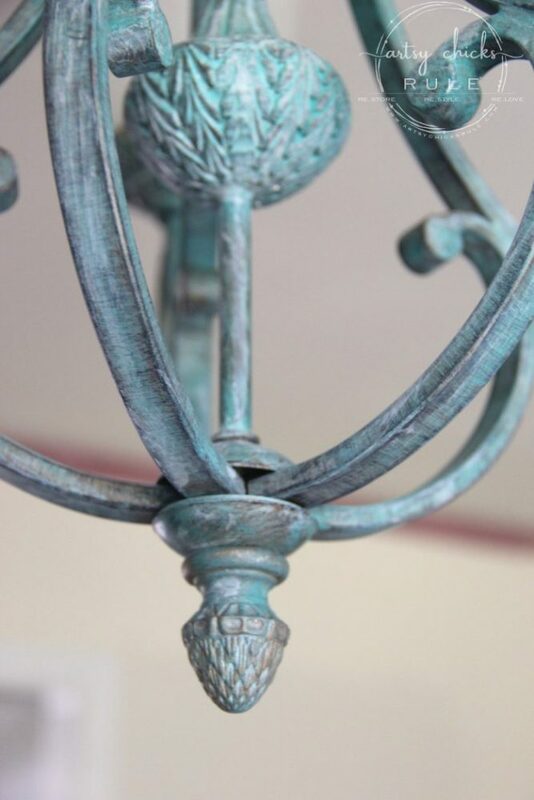 A few years ago we gave our daughter a brassy metal floor lamp and she doesn’t like the finish and it’s sitting in her basement not being used. 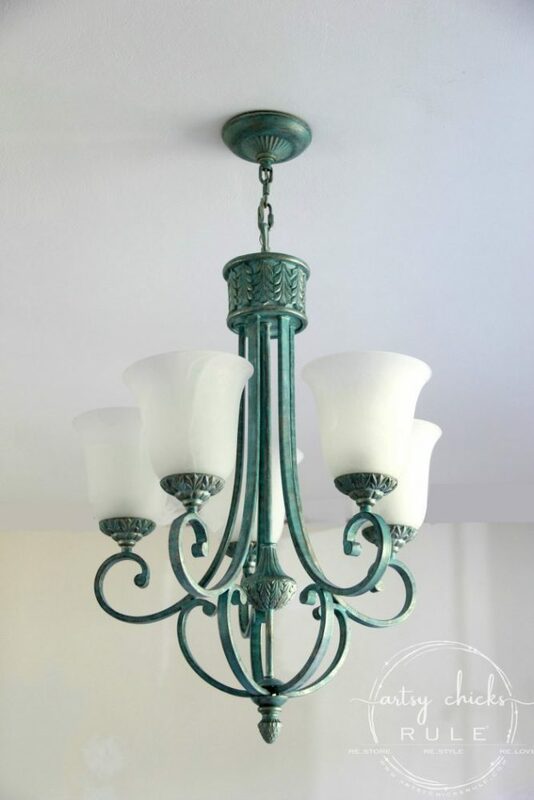 I know she’d love this faux verdigris and I’m feeling hope for that very expensive light fixture again! Pinned to share with her and refer back to. Thanks Marie! Sounds like the perfect plan for it!! 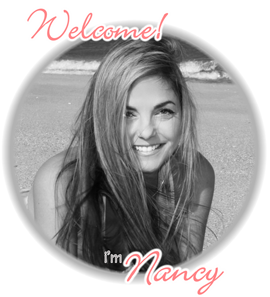 Great job on the tutorial AND video, Nancy! I actually think your voice is quite pleasant to listen to on the video. And it all made perfect sense. The depth of color you get on this is quite impressive! Lovely!